How to apply: Candidates should Apply Online. Candidates are required to submit their bio-data through college website on or before 31.01.2017. 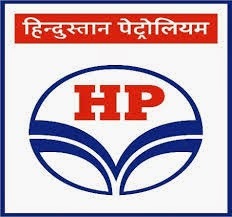 Vacancy Disciplines: Mining Engineering - 191, Mechanical Engineering - 196, Electrical Engineering - 198, Civil Engineering - 100, Chemical / Mineral Engineering - 04, Industrial Engineering - 12, Environment Engineering - 25, Geology - 76, Electronics & Telecommunication - 08, Systems/IT - 20, Legal - 20, Materials Management - 44, Sales & Marketing - 21, HR / Personnel - 134, Finance & Accounts - 257, Community Development - 03, Public Relations - 03, and Rajbhasha - 07. About the Company: Sankalp Semiconductor is a concept to silicon design service provider. Sankalp engages with customer engineering teams around the world, to build System & Block level designs, integrate Full chip solutions and migrate IP's across foundries and process geometries. Sankalp Semiconductor has offices in San Jose, California & Munich, Germany, with development and service centers in India and Canada. Sankalp enables fast time to market solutions for its customers, by drawing upon its expertise in the field of low power management IC design, patented innovations in data converter architectures, a wide portfolio of high speed physical interface IP, embedded memory compiler design excellence and a concept to silicon digital design & verification work flow. Sankalp's Design Eco Space combines in-house design automation flow with industry proven third party EDA tools. Sankalp's successful business model includes deploying engineering architects at client locations and delivering first pass silicon results from its ISO 9001 certified off shore development centers. Venue : Amrita Viswa Vidyapeetham University, Kasavanahalli, Carmelaram Post, Off Sarjapur Road, Bangalore 560 035. Branches : Electronics, Electrical, Telecommunications or VLSI stream (candidates from other streams will be automatically disqualified). Please bring along with you, the latest updated resume with Engineering stream, pass out year & percentage copies of marks cards (may be sought for verification), one stamp size photo , pen and calculator . Qualification : B. E. / B.Tech. in Electronics, Communication, Computer Science, Electrical or its equivalent from a recognized university/institute with at least first class (60% of marks) in the qualifying degree. At least three (03) years experience for Project Scientist C in the areas of HPC administration, System administration, network management, storage management, facility management, trouble shooting the IT infrastructure, etc. Desirable qualification / experience: (i) M.E. / M.Tech. in Electronics or, Communication or Computer Science or Electrical or its equivalent from a recognized university/institute with atleast first class (60% of marks) in the qualifying degree (ii) Work experience in shell programming, scripting languages, such as perl or python, HTML, and gnu software, knowledge in administrating production systems, Linux internals, UNIX file systems as well as general familiarity with Windows, awareness of data management software and parallel file systems, network management of Windows as well Unix systems. Age limit (as on February 22, 2017) : 40 yrs. About company: NLC India Limited (formerly known as Neyveli Lignite Corporation Limited), a premier ‘Navratna’ Public Sector Enterprise with a present Annual Turnover of Rs.6669 Crores (approx.) is spreading its wings in the frontiers of Mining and Power generation. The corporate plan of the company has many ambitious expansion schemes for massive capacity augmentation in the years to come. Qualifications: B.E/B.Tech in respective discipline with with 60% marks for UR/OBC & 50% marks for SC. provisional certificate for ascertaining their eligibility. Selection Process: Eligible candidates will have to appear for GATE-2017. Candidates will be shortlisted for selection process in the order of merit based on the marks scored by them (out of 100) in GATE-2017. The list of candidates shortlisted for selection process will be published in NLC website. Call Letters to the shortlisted candidates for Personal Interview will be uploaded in NLC website (or) sent by post. Shortlisted candidates will also be informed through email / SMS. Application Fee: UR / OBC Candidates are required to pay a non-refundable amount of ₹ 300/- as Application Fee through Online, using State Bank Collect facility. How to Apply: Eligible Indian Nationals should Register and Apply Online only through NLC's website. The Online registration start from 10:00 hours on 06/01/2017 to 17:00 hours on 31/01/2017. Like us on facebook To get More updates . About Company: The Centre for Railway Information Systems (CRIS) is an Autonomous Organization under the Ministry of Railways. It develops and manages the Information Technology applications of the Indian Railways. CRIS also provides IT applications for non-Railway Government and Public Sector organizations. Junior Software Engineer: B.Sc (Computer Science) / BCA / 3 year Diploma in Computer Science or Computer Engineering or Information Technology Enabled Services & Management / A Level examination of DOEACC. 03 years Diploma should be recognized by the Directorate of Training and Technical Education of any Slate/Govt. of India. Candidates holding 4-year degree in Computer Science or Computer Engineering, or 3 year MCA, may apply. Degree should be recognized by UGC / AIU / AICTE. Degrees through Distance Education should be recognized by Distance Education Bureau of UGC, Minimum 60% marks in qualifying diploma / degree (55% for SC/ST/PWD candidates). Junior Network Engineer : 03 years Diploma in Electronics or Electronics and Communication or related subjects like Instrumentation. 03 years Diploma should be recognized by the Directorate of Training and Technical Education of any State Govt. of India. Candidates holding 4-year degree in Electronics or Electronics and Communication may apply. Degree should be recognized by UGC/AIU /AICTE. Degrees through Distance Education should be recognized by Distance Education Bureau of UGC. Minimum 60% marks in qualifying diploma/degree (55% for SC/ST/PWD candidates). How to Apply: Interested and Eligible Candidates should apply online through CRIS Official Website, the online registration have Two Steps. The Online Registration of applications start from 09/01/2017 and close (Step-I & Step-II) on 08/02/2017. The Admissions to these courses are done through C-DAC's computerized Common Admission Test (C-CAT). Candidates have to apply for C-CAT online at www.cdac.in or acts.cdac.in . For February admissions: The exam will conducts on December. Best Course for a better career: As per my suggestion VLSI has better career in industries, later embedded systems..choose the one which you like most.. Most of our ECE candidates has a dream to get a job in Top MNC companies like INTEL,CISCO, so on. Mostly these companies look for a candidates who has a strong domain level programming languages which are going to discuss on this post.So, one who has a strong dream to get a job in those companies must perfect in any one of these languages. In today's world, an Electronic student may not be a full-fledged software developer but one have to write codes every where anyway. So students must be aware of some essential programming languages used in electronics field. If one is looking for furthers studies or to work in core electronics company they must know the certain languages used in in this field. All these languages are used on various fields like chip designing, signals and systems, networking, telecommunications..etc. One must start learning C from the basics and must have complete grip on that language. It the most basic and essential language used in various fields. One can easily learn any other new language if he/she is perfect in C .
Embedded C is only little different from C and It is used in Microprocessors and Micro-controllers, and it is used in ROBOTICS. Learn MATLAB if you are interested in Signals and Systems, Communication Systems and other core telecommunication subjects. VHDL and Verilog are a hardware description languages used to model analog and digital electronic systems. Assembly language programming is another important language you should know being Electronics student. Post 1: Required B.E / B.Tech / M.Tech graduates in Electrical, Electronics or Instrumentation. Boys and girls with good Programming knowledge, technical Skills. Must have work experience of minimum 2 years. Able to work on micro controllers , Strong in digital and analog circuits. Post 2: Required B.E / B.Tech / BSC / MSC graduates in Electrical, Electronics or Instrumentation. Only boys with good technical knowledge, communication skills. Must be able to speak good English and Hindi. Have to visit different customers through out India for marketing of company products. Post 3: Require B.E / B.Tech / Diploma graduates in Electrical, Electronics or Instrumentation girls with good technical knowledge. Must have work experience of minimum 2 years in the field of testing electronic instruments. Post 4: Require ITI Girls in Radio and TV. Should have experience in using soldering station or soldering of PCBs. Must have work experience of min. 2years. How to apply: Interested candidates can send their resume to the given email id, Do mention your interest in subject of your e-mail. We look for jobs that match your skills . About Company: LogicApt based in Mohali, provides high-quality Intellectual Property and Innovation support services to clients based out of North America. Qualifications: Graduate/Post Graduate in Electrical/ Electronics and communication and: Should have basic product development skills. -Specialization in any of the below topics is desirable Domain Knowledge: Robotics, Automation, PCB Designing, IoT, 8/16/32 bit Controllers etc. Programming Language: Embedded c, Arduino etc. Software Skills: Keil IDE, PCB EDA, MATLAB, PROTEUS etc. Communication Protocols: SPI, UART, I2C etc. -Knowledge on Raspberry pi, ARM Architecture, Flying on RC controls is preferable. -Prior training experience is desirable but not mandatory. -Should be innovative to develop & design training methods & procedures. 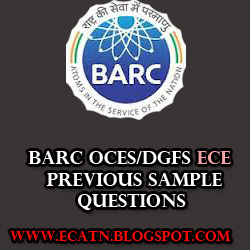 Barc is one of the Nuclear research centre in india, every year they recruit students based on their performance in GATE score or OCES/DGFS written exam and interview, Here I am discussing about the Electronics written exam I already posted a GATE score required to get a call from BARC. From 2012 onwards they conducting written exam online, and the paper consists of 100 questions (technical). I already posted expected Syllabus and important topics to concentrate and prepare. As the exam is online, there is no question to get papers outside. But Here I am giving idea by posting sample Question paper for electronics based on the words of successful students, who has wrote the last year Barc exam. In sample paper i am giving questions from some topics i didnt cover all the syllabus,and i will update more questions later on.. I will update some books names to prepare for barc exam on my later post, not only for barc they useful for all psu’s and competitive exams. 3 The ideal OP-AMP has the following characteristics. (A) perpendicular in space . (C) E is in the direction of wave travel. (D) H is in the direction of wave travel. c) Both Temperature & ? (A)not a positive real function.